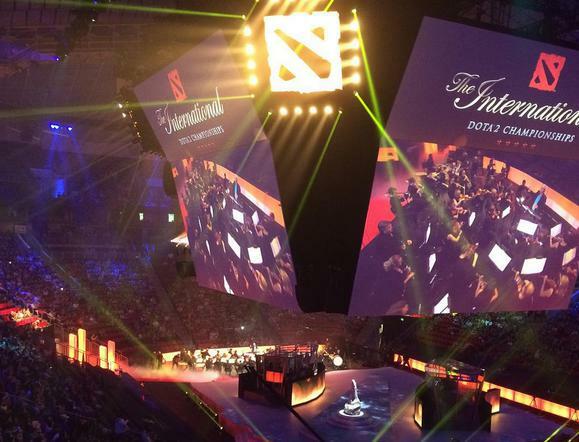 It’s day two of The International 2015, Valve’s massive $18 million Dota 2 tournament, and play has ground to a halt in the very first match of the very first round due to a crippling distributed denial of service attack (DDoS). Just when things started to heat up in match one of the best-of-three competition between Evil Geniuses and compLexity Gaming, the game was suddenly struck by lag and paused soon thereafter. The tourney has been on hold for over 45 minutes now. (Update: It's back in action as of 4:20 P.M. ET.) Fortunately, analysts are filling in the void on the livestream, and host Paul “Redeye” Chaloner just stated on-air that the delay is definitively due to a DDoS attack. Which, of course, begs the question as to why Valve didn’t figure out a way to protect the games and their streams against something like this, but hey, that’s neither here nor there. Hopefully Valve gets some better Internet shields in place before Saturday’s grand championship.